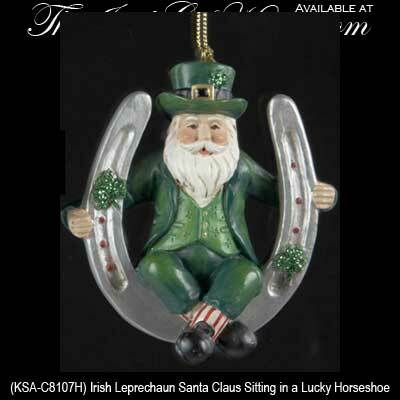 Irish Leprechaun Santa Claus Sitting in a Lucky Horseshoe Christmas Tree Ornament. Hand Painted Resin with Shamrocks, 3” Tall X 3" Wide. Ready to Hang, Gift Boxed.